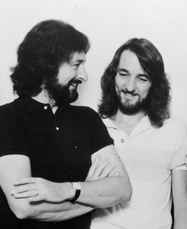 “Legal songwriting entity” credit on the majority of Supertramp songs. Dissolved in 1983. Although credited to the duo, each song was usually written by the respective lead vocalist only, with the exception of the jointly authored songs “Just A Normal Day” and “School”.